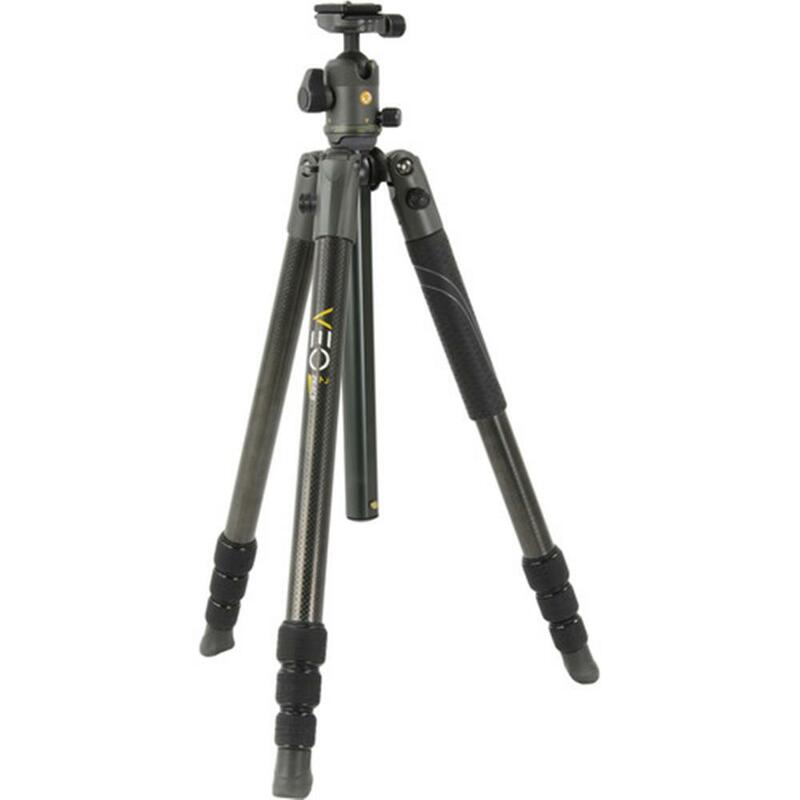 VEO 2 264CB is an easy portable and super lightweight, 26mm, 4 section carbon fibre travel tripod kit with a multi action ball head with maximum work load of 8 kg / 17.6 lbs. It weighs only 1.3 kg / 2.8lbs and can be extended up to 155 cm / 61 inch. 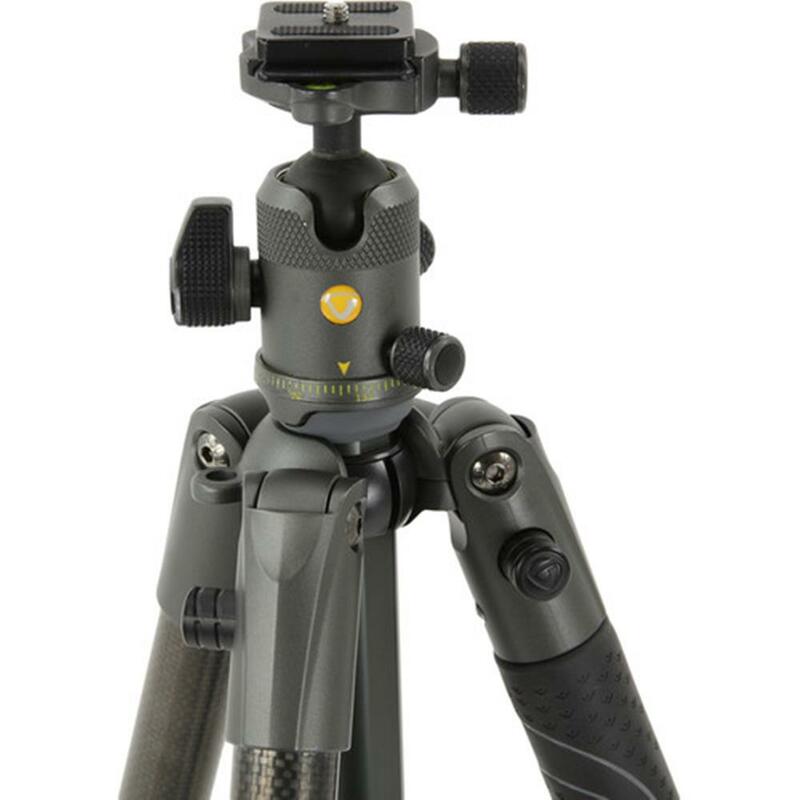 VEO 2 264CB features the exclusive & unique central column rotation system that allows you to setup the tripod in a snap of your fingers and also includes the new and advanced twist ¼ turn lock unlock system for fast deployment and solid setting. The VEO 2 BH-50 ball head operates perfectly with 3 independent dedicated knobs for lock, panning and friction control. Take it everywhere with you! Set it up in matter of seconds, use the Advanced Engineering legs and twist locks systems with confidence while enjoying versatile creative positions. 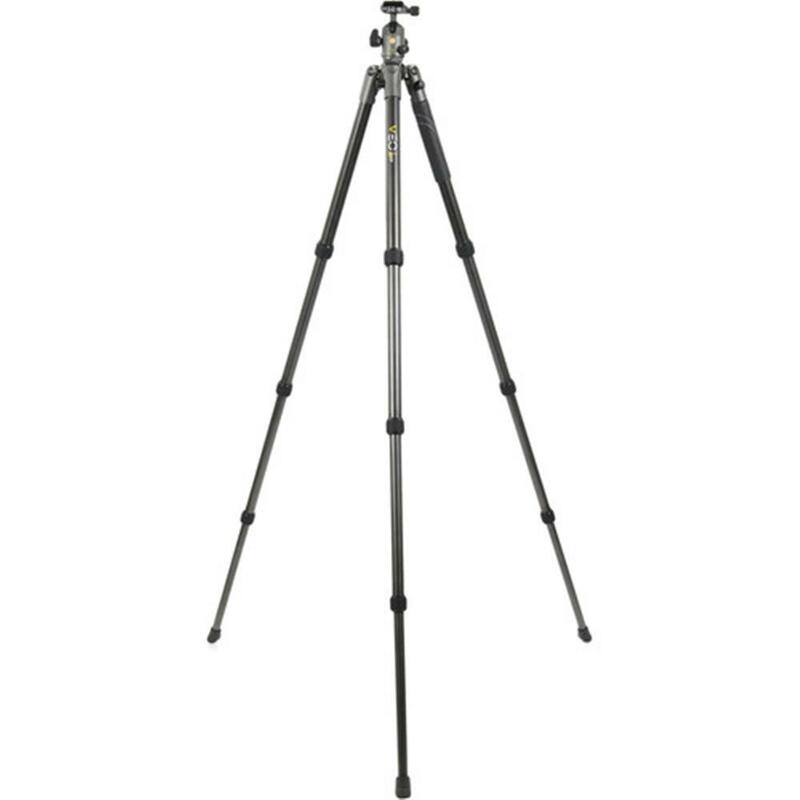 The VEO 2 264CB tripod has been built to be your "best passport" for travel photography. 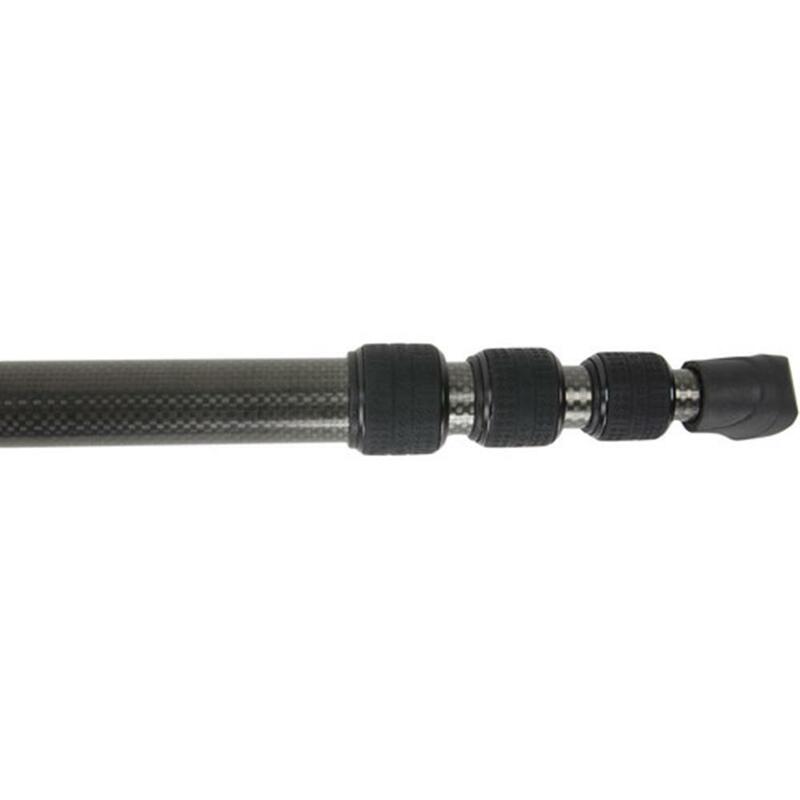 With a snap of the fingers, swing the VEO 2 central column into place, connect your camera and you?re ready to shoot at a moment's notice. The VEO 2 BH-50 Ball Head is sturdy and operates perfectly thanks to a large ergonomic knob. The Arca-type compatible plate with 1/4" D-ring screw offers quick camera attachment and release. The 4 section Aluminum alloy legs comes with a rapid advanced twist lock system ergonomically designed to be extended with one hand and lock in at less than 10 seconds. The low-angle adapter and the 3 leg angles at 20, 45 and 80 degrees ensure perfect positioning and stability on uneven terrain and also offers you the ability to take more creative pictures from different angles. 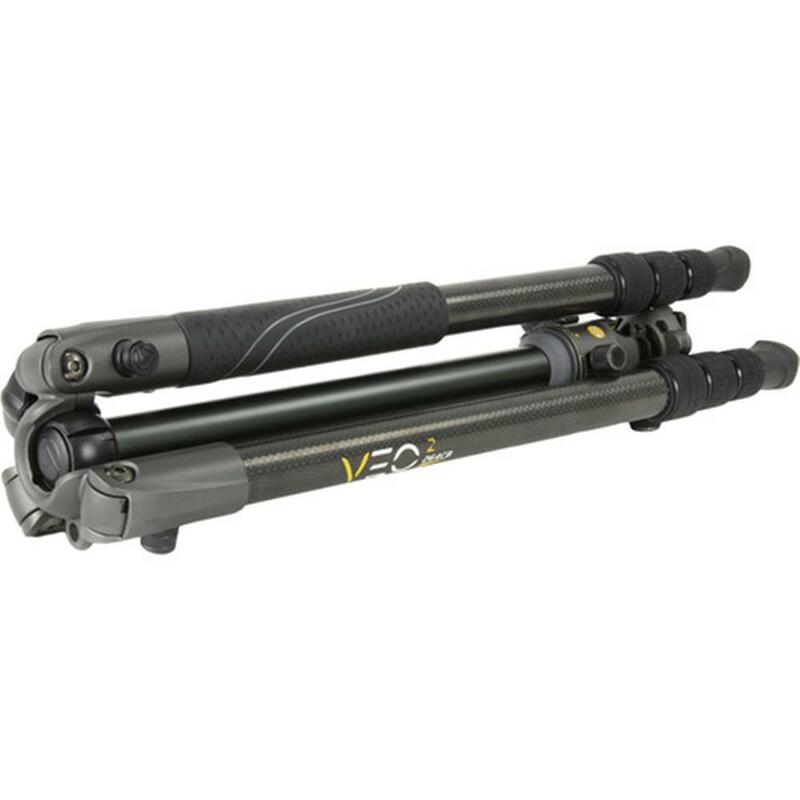 With angled rubber feet, the VEO 2 grants you the perfect grip on ground. VEO 2 SF spiked feet (sold separately) will provide a stable position for outdoor environments. The dedicated suspension loop on canopy accommodates counterbalance weight or bags for additional stability... A stylish design with a soft rubber handle provides an unbeatable grip. Use the included carrying tripod bag with shoulder strap when you are ready to go on your next photo adventure.